9/30/2018 ~ Foreclosures are like a storm that blew across our country for so many years that people were bent by its force. Foreclosure Awareness is knowing that people who are in, or have endured, a foreclosure are permanently affected by that experience. 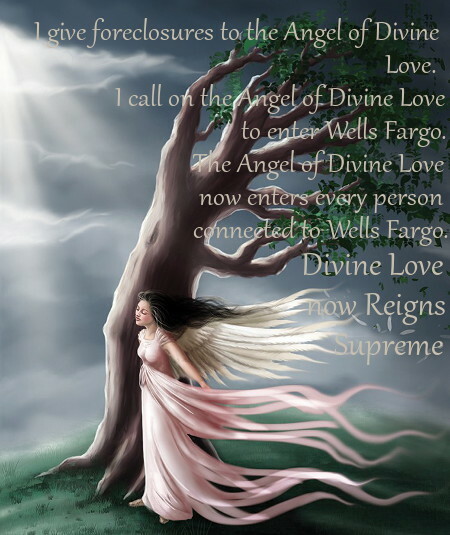 Foreclosure Awareness is also the sharing of inspiration, sharing of a feeling that all is not lost, the tree has not broken, the sun is coming through the storm clouds. Today I was rattled by seeing how the Appeals Court misread what I wrote, and in so doing made it much harder for me to write my Motion for Rehearing. If I had been totally alone I would have withered, maybe broken under the stress. But, I wasn’t alone because I have the support of people who are Aware of Foreclosures and no longer blame the victims instead of banks and Wall St., I was able to see a way forward. With the help of our Collective Conscious I was able to find good words to use in my Motion for Rehearing. Words that renew my faith in our spirits and our ability to win against predatory banks with their fraudulent foreclosures.